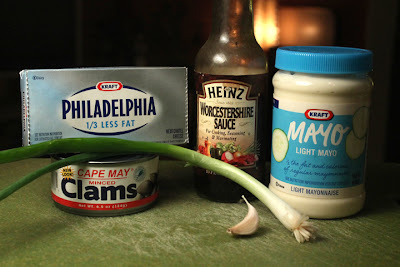 The ingredients list is short, the preparation is simple, plus The 99 Cent Chef's Clam Dip recipe can be made well ahead of time, when refrigerated. 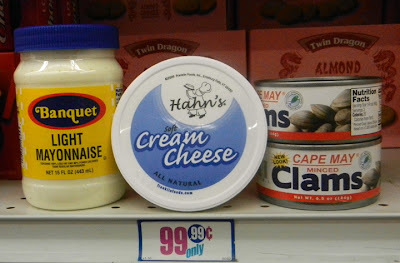 I got a can of minced clams, a block of cream cheese, onion, Worchestershire sauce, mayo and garlic from my local 99c only Store. So this appetizer is certainly cheap enough. I'm always looking for an excuse to use canned clams. 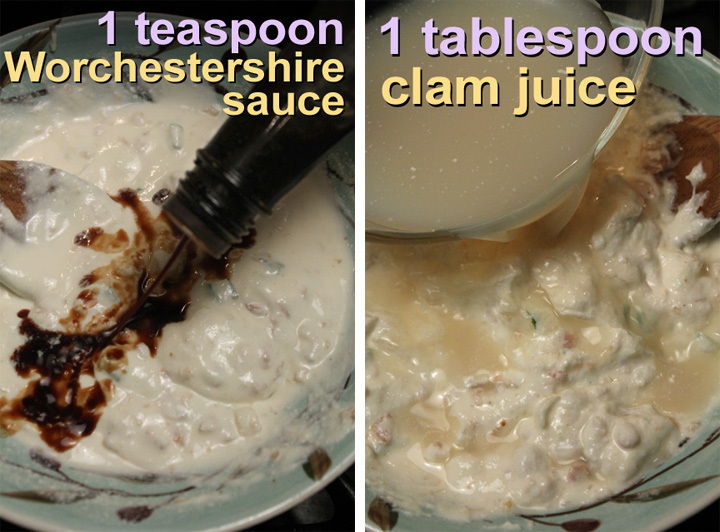 They are perfect in a pasta, creamy chowder or topped on a pita pizza (click on names for recipes.) 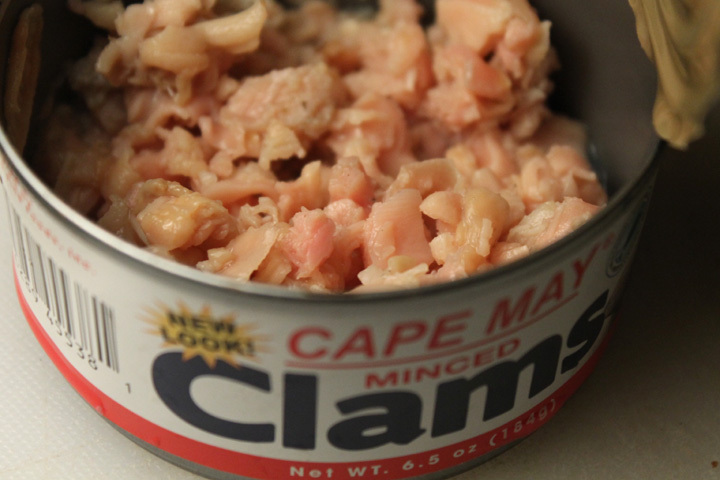 Although fresh clams are the best, this tinned seafood still retains it's pleasingly pungent mollusk flavor. 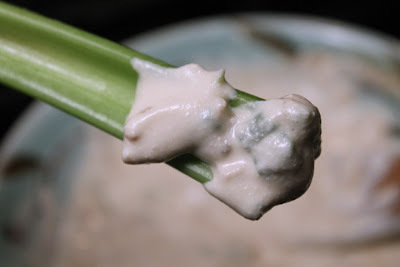 So for all you swinging Mad Men and Women out there, cook up a retro Space Age era Clam Dip by the cool cat 99 Cent Chef. 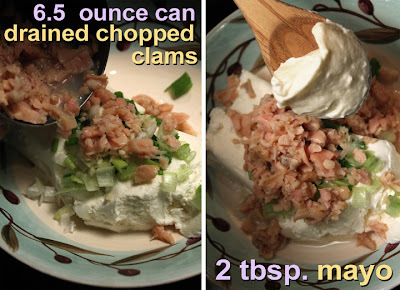 1 can of clams - about 6.5 ounces. Drain but reserve a tablespoon of clam juice. About 8 ounces of Philadelphia Cream Cheese - softened to room temperature. 2 tablespoons of mayo - light or regular. I've tried it with sour cream as well. 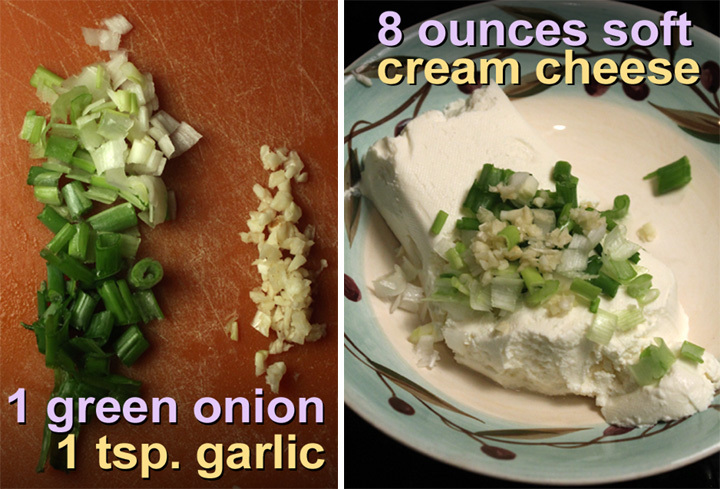 1 green onion - optional. Chopped, including the green stem. Okay to substitute with 2 tablespoons of chopped white, yellow or red onion. Pepper to taste - clams are salty enough for me. Serve with toast, crunchy veggies or favorite chips. Refrigerate until ready to serve. I baked some bread wedges to serve (drizzle on olive oil and some minced garlic for extra flavor,) but you could also use any favorite cracker, chip, or browned bread from your counter-top toaster. Veggies like celery, carrots, broccoli, bell pepper or any favorite crunchy veggie is a healthier way to use the 99 Cent Chef's Clam Dip. And for a large party you can easily double or triple the recipe ingredients. 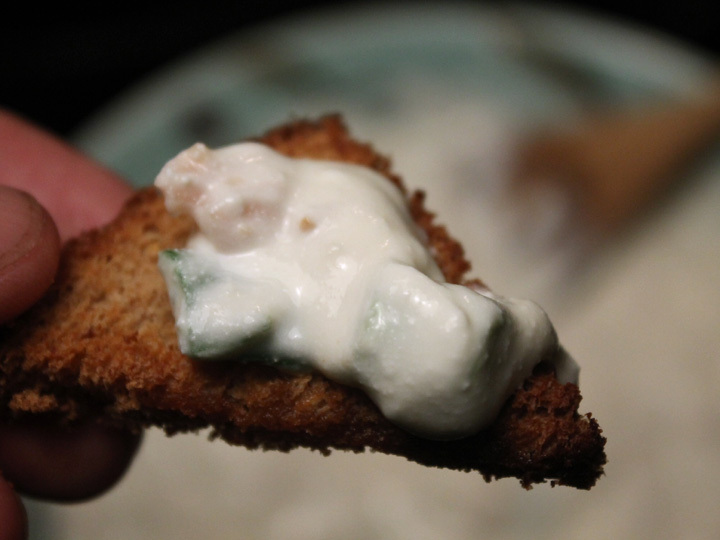 For our Oscar party I used half cream cheese and half sour cream (instead of mayo) -- was very good and creamy. 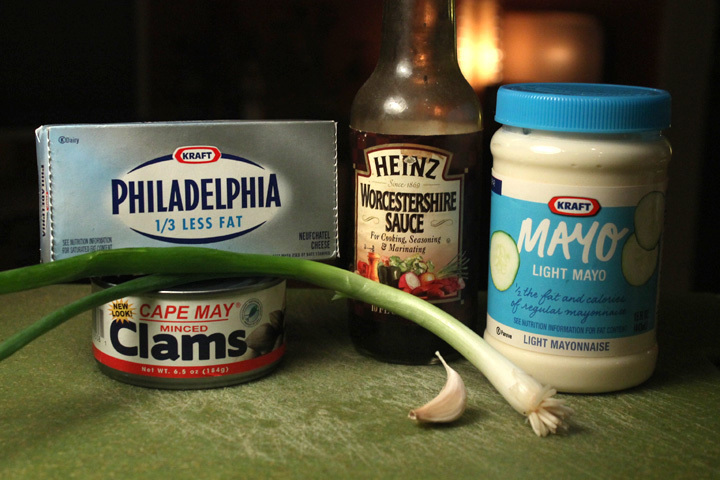 I grew up with this dip, but never got my mom's recipe before she passed away. Thanks for the recipe!